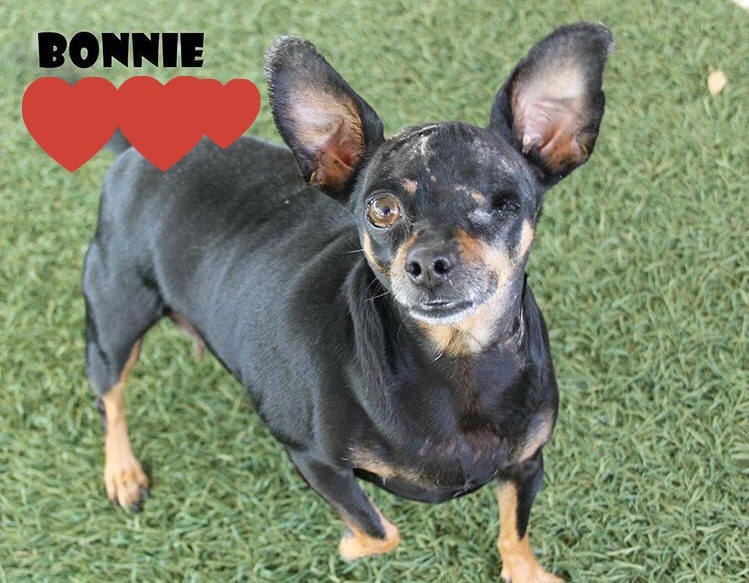 Meet Bonnie, aka Bon Bon…at your service for all your cuddling needs! 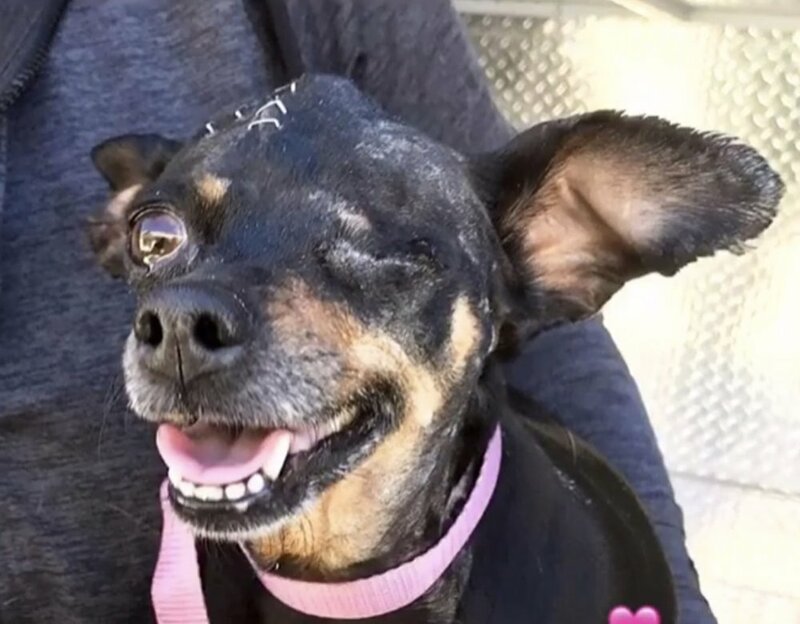 This adorable Min-Pin/Chihuahua mix came to us from the LA shelter system where she lost an eye in an unfortunate event involving a pack of dogs and human error. As soon as she came to Chews she made herself right at home- jumping into any lap she could find and making friends! Bon Bon is very intelligent, outgoing and affectionate. She absolutely loves people and would make the perfect companion. She is great with dogs of all sizes and very lovable once she gets to know them! She loves to get outside for a walk at the beach, a mellow hike in the country or just a stroll around the neighborhood (and she loves the car rides too). She is looking for a loving home where she can snuggle and play with her forever family. Bon Bon is 4 years young (her birthday is estimated to be in March 2014), weighs 9 pounds and is looking forward to meeting you soon!